Specifically, they say patients often receive advanced imaging and other tests that provide little, if any medical benefit. In fact, they say these procedures could have harmful effects, and it's likely they will make the treatment more expensive. Study leader Dr. Gary Lyman, a breast cancer oncologist, says current guidelines recommend against routine surveillance testing for patients in the early stage of breast cancer, but they're frequently performed anyway. Lyman says the guidelines were drawn up to help patients and doctors make the best decisions, based on the best medical evidence. The guidelines specifically recommend against the routine use of advanced imaging scans and costly blood tests to track tumor markers. That's because there have been several studies that have shown the patient gets no benefit, and there's a strong likelihood of false-positive results that can lead to unnecessary procedures, such as radiation treatment. But the Hutchinson researchers say the message isn't getting through. Their review of records in more than 2,000 early-stage breast cancer cases found that 37% percent received tumor-marker tests during the post-treatment surveillance period. On average, there were 2.8 tests per patient. While there are obvious health concerns, Lyman said these patients faced costs higher than the patients who didn't get the extra tests and procedures. "We believe one of the best ways we can help patients reduce their financial burden is for us to reinforce the message with oncologists that these tests have been shown to provide no benefit for this particular group of patients,” said Lyman. Lyman and the research team will present the findings early next month at the American Society of Clinical Oncology annual meeting in Chicago. 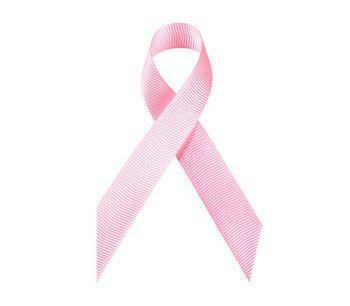 The cost of treating breast cancer varies by the stage, with the lowest costs during early stages. An analysis of treatment costs by the National Institutes of Health placed average costs, in the first 24 months after diagnosis, at $72,000 for early-stage breast cancer.